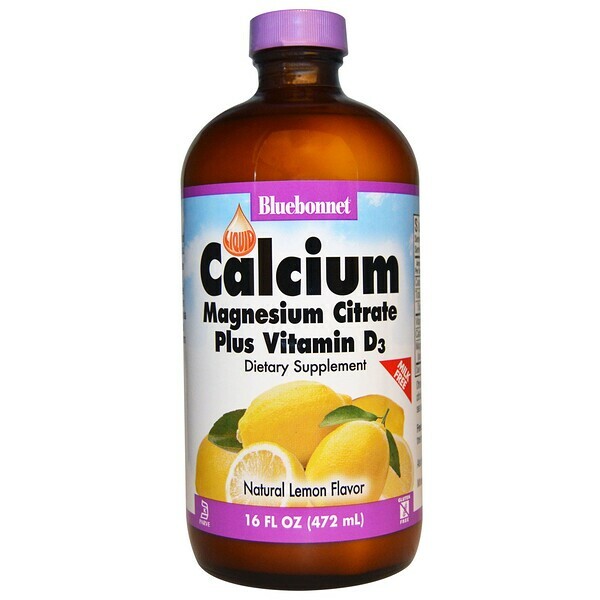 Bluebonnet's Liquid Calcium Magnesium Citrate Plus Vitamin D3 provides calcium in a chelate of calcium citrate, as well as magnesium in a chelate of magnesium citrate and magnesium aspartate in a naturally delicious lemon flavor. Plus, this formula contains vitamin D3 (cholecalciferol) from natural lanolin. Available in an easy-to-swallow liquid form for maximum assimilation and absorption. 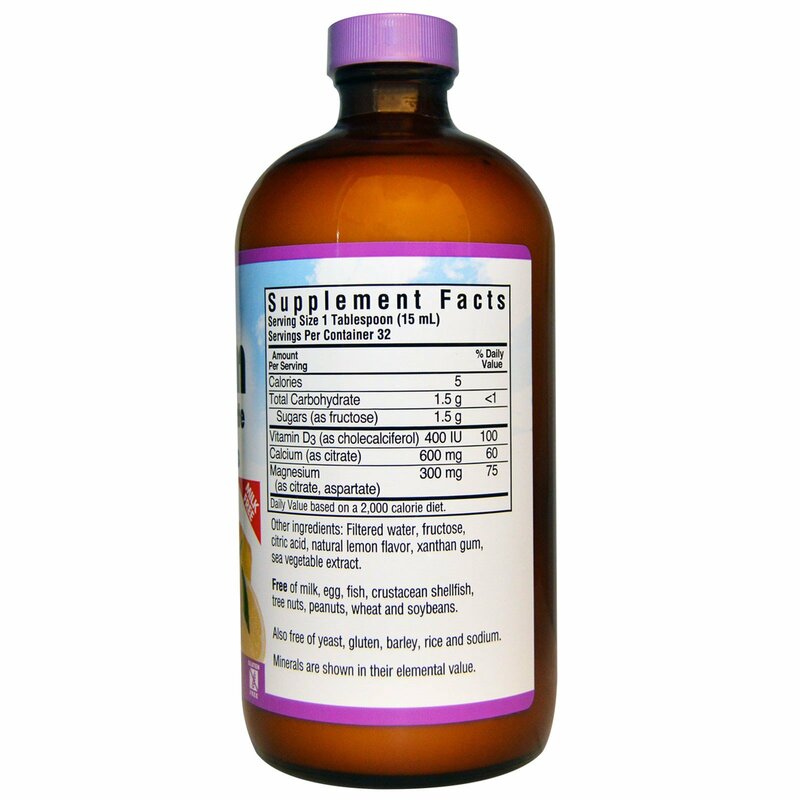 As a dietary supplement, take one tablespoon (15 ml) daily or as directed by a healthcare practitioner. Can also be used as a good source of calcium and magnesium in baked goods. Filtered water, fructose, citric acid, natural lemon flavor, xanthan gum, sea vegetable extract. Free of milk, egg, fish, crustacean shellfish, tree nuts, peanuts, wheat and soybeans. Also free of yeast, gluten, barley, rice and sodium. Minerals are shown in their elemental value.